When entering the world of measurements, it can all be a bit daunting. There are grams, cups, tablespoons, litres, centimetres, kilos and millilitres just to mention a few! Then there are questions such as how tall are you? How much does your pumpkin weigh? 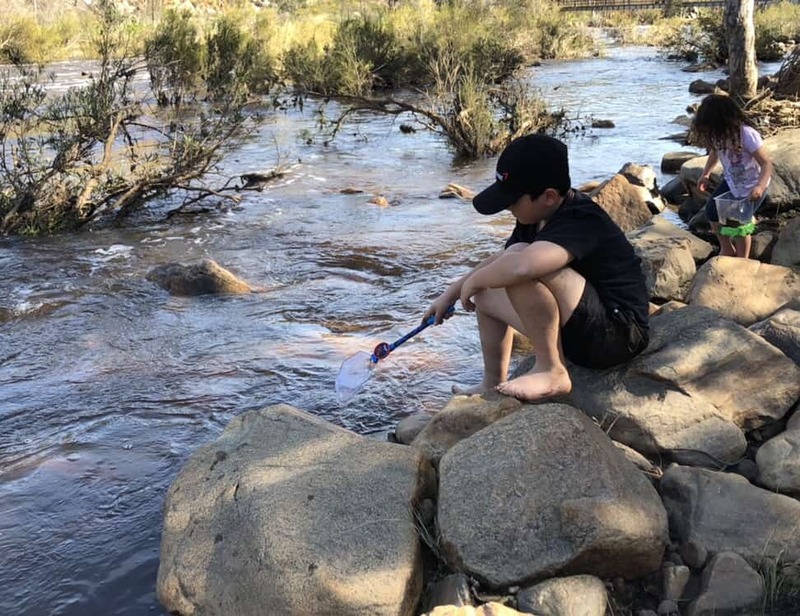 How much water is in your cup? 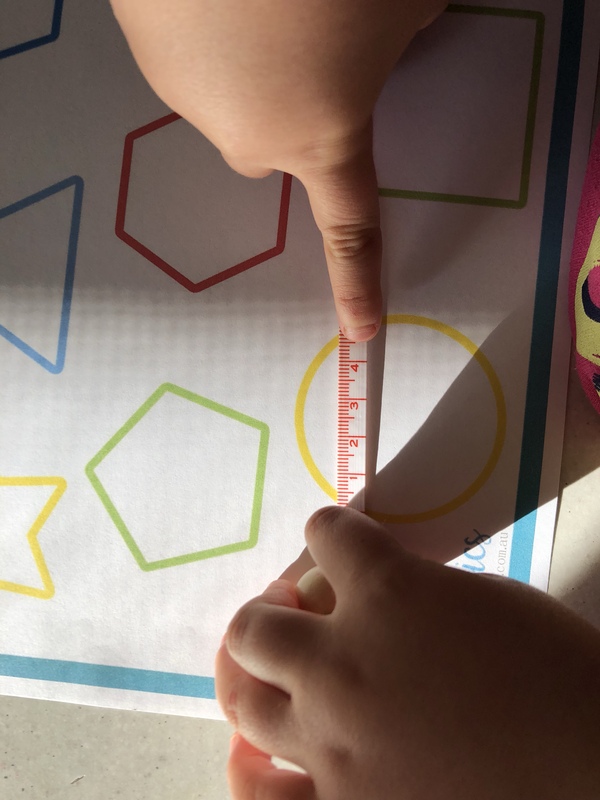 So how can we make it easier for our kiddies to understand which form of measurement to use? 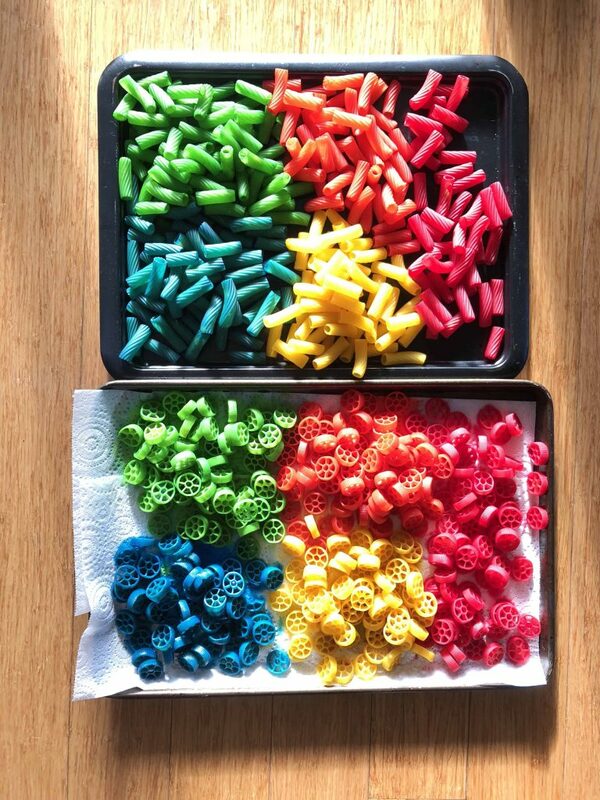 To begin this venture into this mathematical vortex, I simply gave Miss 4 a tape measure and some shapes to measure. 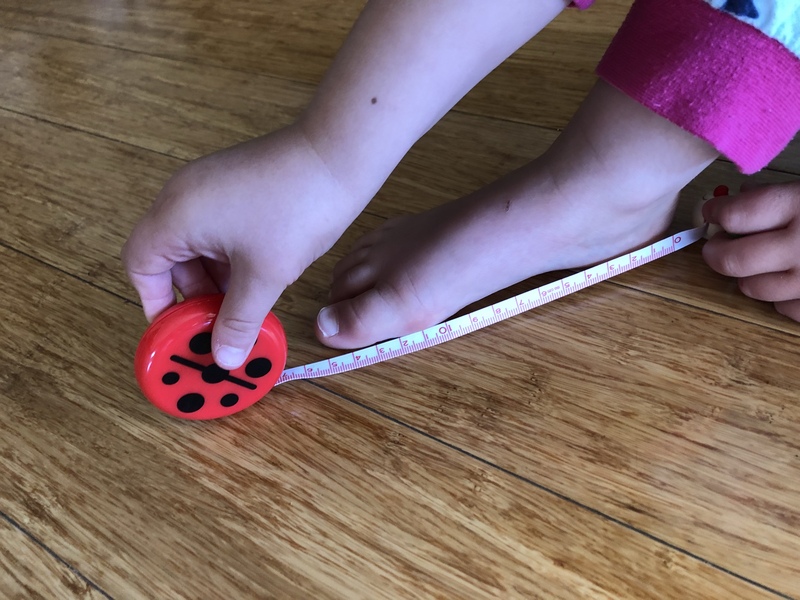 She loved the fact that our tape measure is a ladybug character and enjoyed retracting the tape with its bobbly head back into its body. 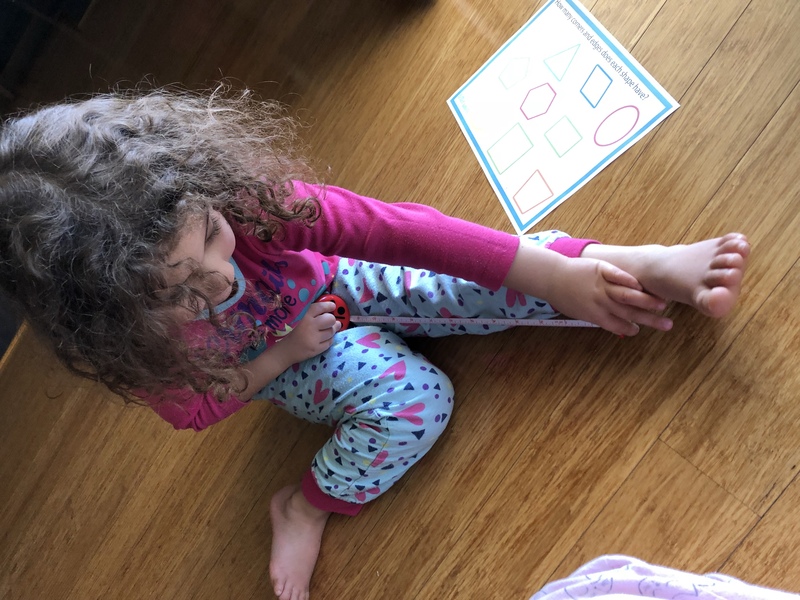 Once I explained to her what the number represented and how to find out how many centimetres our subjects were, she was off measuring all sorts of things. 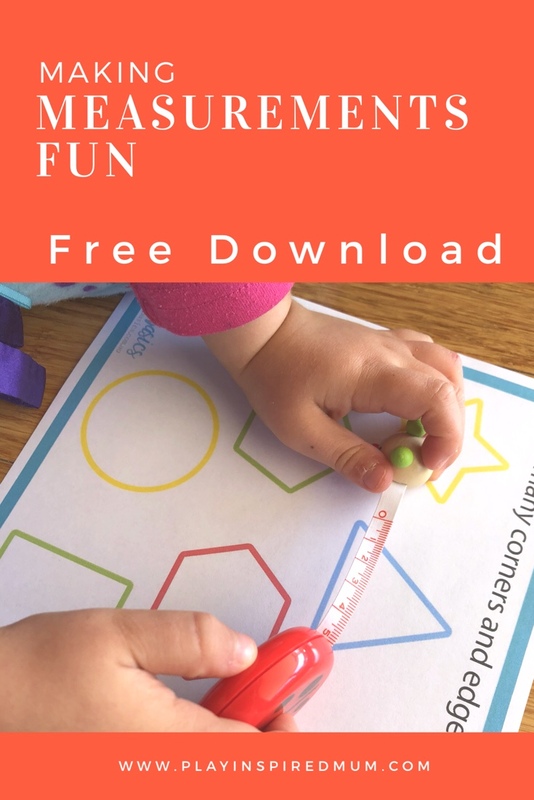 Our free downloadable Letter Basics Shape Activity Mat was her first assignment. 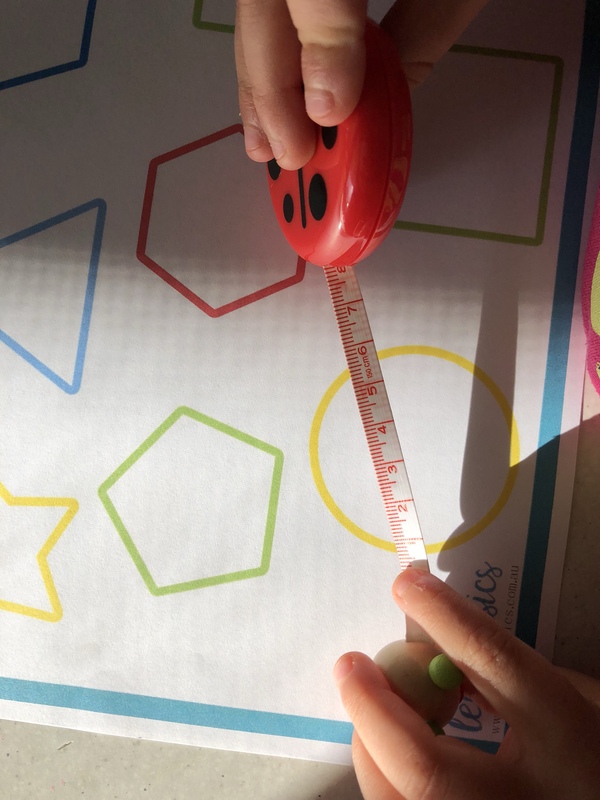 She was measuring the sides of the shapes, distances between them, the beginning of one corner on one shape to the corner of another and all sorts. 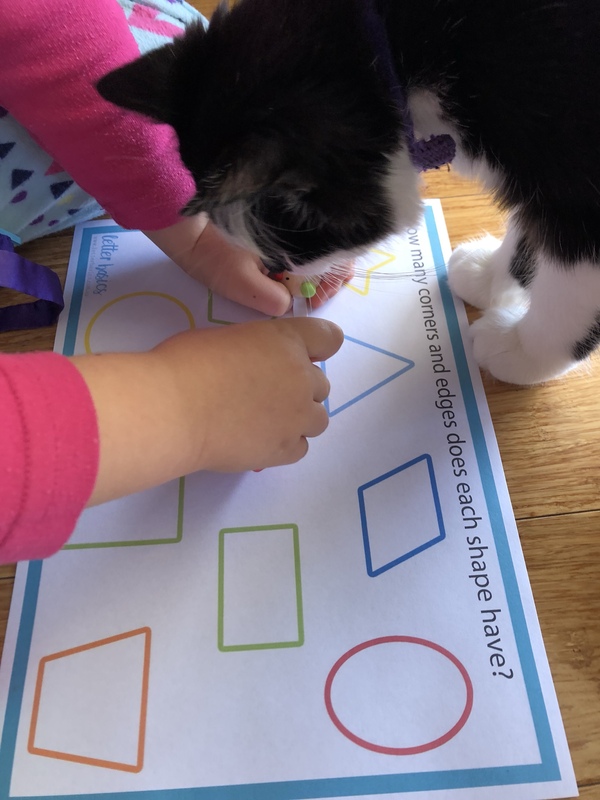 After a little while, she began to look beyond the activity sheet and within no time, we had the dimensions of all sorts of things – her foot head, leg, the dog, the cat, the chair and her sister. 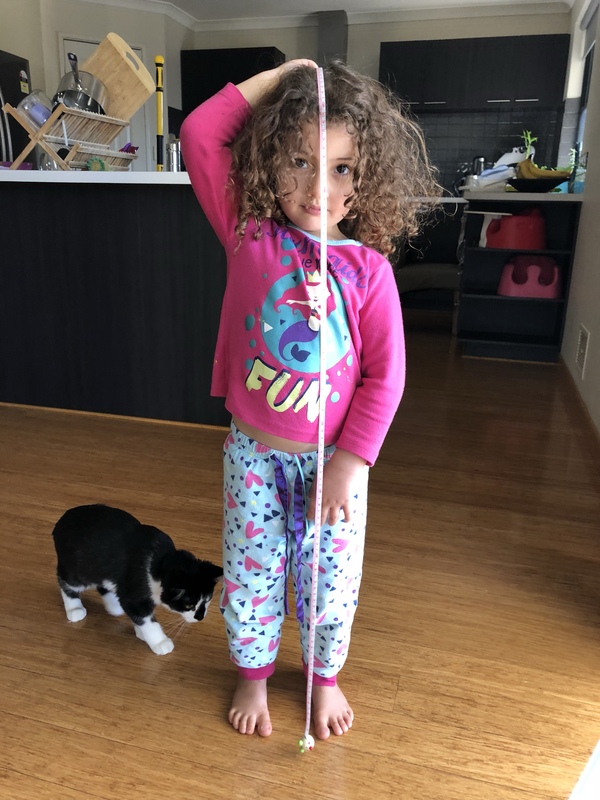 Both the girls were running around the house with their tape measure in tow, lining the end of the tape from top to tail of all sorts of things. 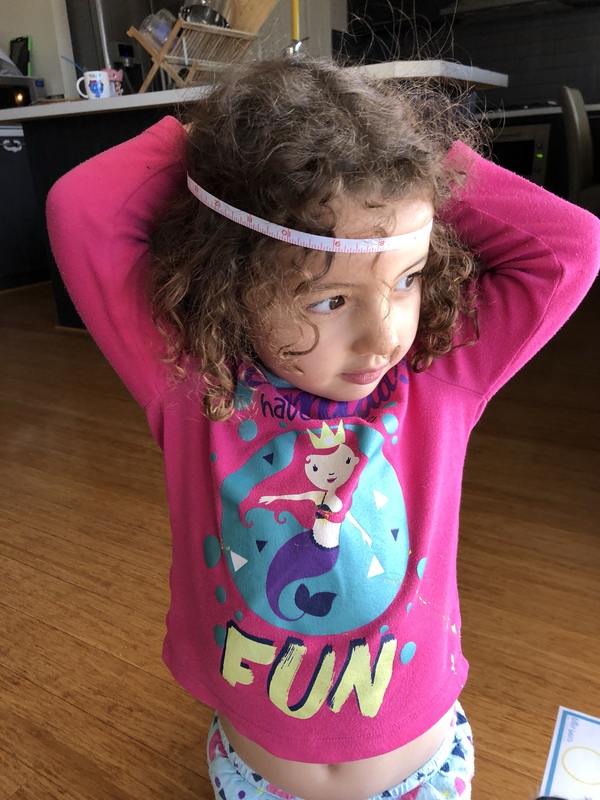 Tomorrow is another day for another form of measurement but for today, I am pretty confident that she has a great foundation built to further her understanding of length, width and heights in centimetres. 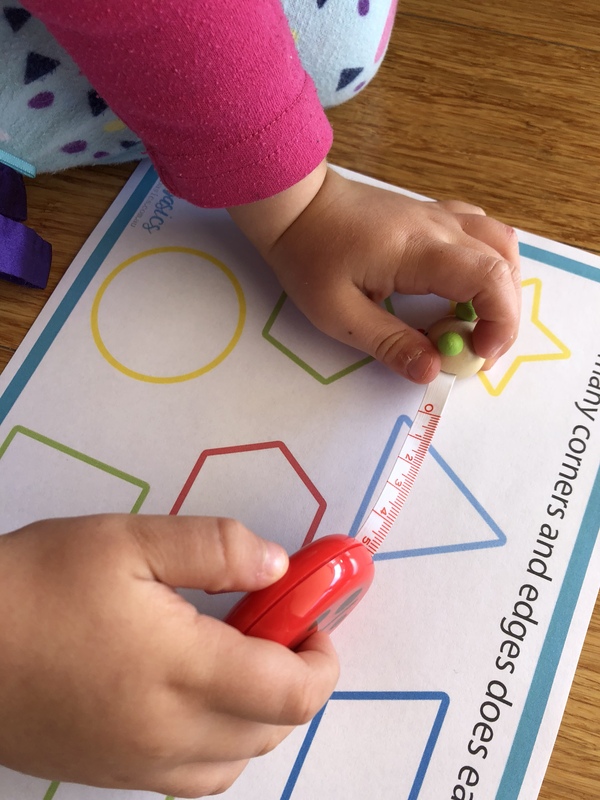 Click here to get your hands on the awesome Shapes Activity Mat too! The link is near the bottom of the page. 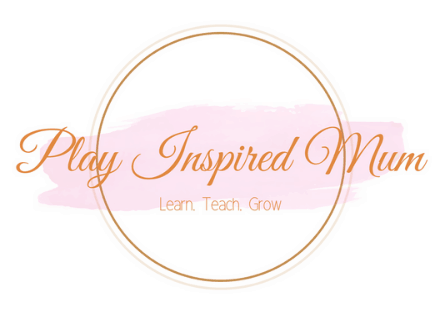 We laminated our and have used it for all sorts of activities from play dough to shape sorting, tracing, colour matching and counting! 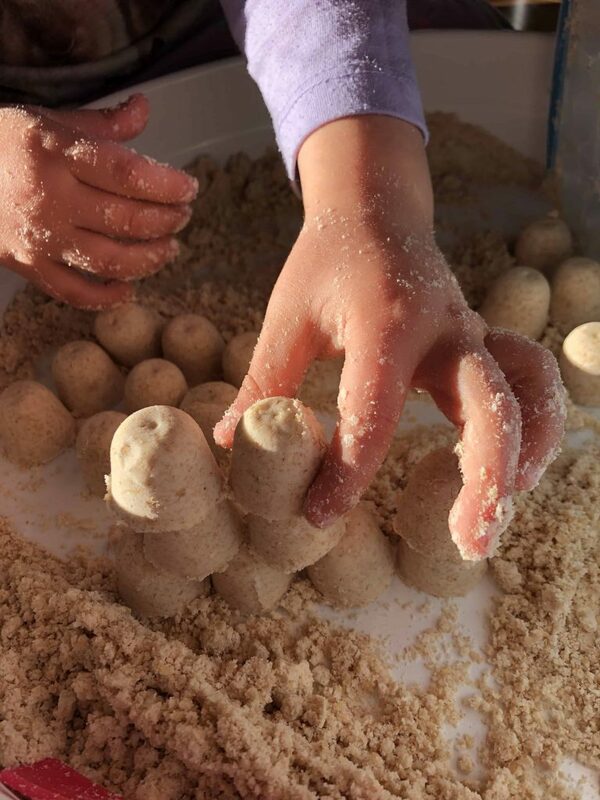 Previous ArticleTaste Safe Milk Dough!